Make a couples getaway! You'll enjoy a round of golf while she relaxes at the spa. Catch up over dinner for two and enjoy breakfast together in the morning. 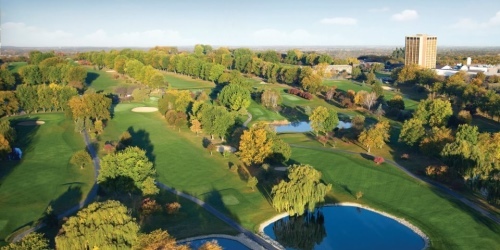 You'll experience the charm of Pheasant Run Resort in St. Charles, IL and all the amenities the property offers with this package deal. When calling 630-584-6300, please mention you saw this golf package on IllinoisGolf.com. Pheasant Run Resort reserves the right to change price and offer at anytime. Prices and offer are subject to change without notice. IllinoisGolf.com is not responsible for errors posted in this golf package.